Dirty mops are a breeding ground for mold, germs, and bacteria, yet the mops typically used in a business are rarely washed more than once every few months. Dirty mops do nothing more than spread germs and push dirt around. 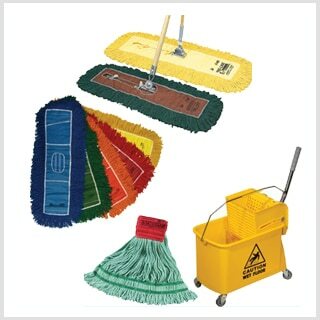 Our mop rental service will take the stress out of providing fresh, sanitary mops to your maintenance staff every week. Properly cleaned mops will perform more effectively, allowing your staff to clean more efficiently, keeping your floors clear of debris that can cause accidents. Clean mops from Loyal will keep your building cleaner, and provide a more attractive, professional image; keeping your employees and customers healthy and happy.